What BUSINESS Are You In? (Don't Be The Slide-Rule Guy!) | Get Clear - Get Organised - Get Going! Da: Get Clear - Get Organised - Get Going! 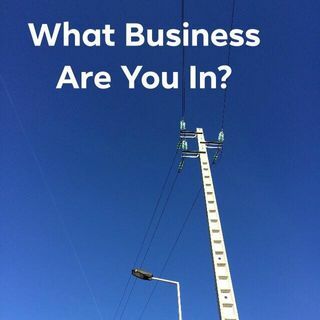 Question: what business are you in? Don't make the same mistake the slide-rule factory owner made in the story I share here. REALLY knowing what business you are in, can make you more successful, innovative and even help you survive. Thank you both. Great answers, Clearly both of which allow you to change medium and environments. Not confined to the pool for you Richard; or the workshop Lenny! I am definitely not in the mushroom business that’s overcrowded but I am a fun guy tho. Seriously though I am in the business of inspiring young engineers.